Sys2K, a fully integrated Windows-based Dealer Management Software solution that features real-time integration across all departments is pleased to announce the release of EMV (chip card) Certified Payment Transaction Processing through our partnership with Novera Payment Solutions,LLC. As part of our partnership, Novera provides its integrated payment processing solution to Sys2K customers utilizing a cost effective transparent pricing structure. “The partnership between Novera and Sys2K is exactly the type of relationship we look for with Integrated Software Vendors or (ISV’s)..... The collaborative effort between Sys2K and Novera has produced a great offering for Sys2K clients, and we are extremely pleased to release the EMV certified version.” said Sean Grace, C.E.O. & Managing Member for Novera Payment Solutions, LLC. “With Novera, we are pleased to offer our clients a straightforward, secure integrated credit card processing solution that is now EMV certified and will allow our clients to accept EMV (chip card) transactions, making payment processing through Sys2K even more secure.” said Traeanne Reynolds of Sys2K. Novera specializes in partnerships with Integrated Software Vendors or (ISV’s) for payment acceptance. These partnership programs include the initial design plan, including optimization for maximum adoption of uses and the ongoing management of the program. 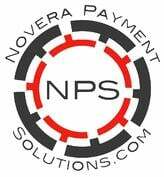 Novera is one of the largest registered Member Service Providers (MSP’s) for WorldPay and delivers flexibility in accepting payments, and virtual terminal solutions through PCI-compliant payment processing plans. Sys2K prides itself on being a true software company with its focus on developing high quality software solutions for the dealership environment. Now with its 3rd generation of Dealer Management Software (DMS), Sys2K boasts the most powerful and feature rich system ever developed for the industry. Written in Microsoft's dot net language and using Microsoft's SQL Server for data storage and retrieval, Sys2K created a software system that truly handles multi- location and high-volume dealerships.